Time is money, there is no doubt about it. Whether it’s the hourly wage workers are paid or the minutes spent in the boardroom making major decisions, the seconds, minutes and hours spent in the office every day can contribute or take away from a business’s success. People are always trying to make day to day operations more efficient in order to become a more successful or productive company. New technologies and operating procedures are regularly tested and implemented to give global corporations an edge on their competition. Small businesses may bring in specialists from the outside so they can make suggestions on how to become a more productive company. It doesn’t matter whether your company has an operating profit of 1 billion a year or if it is just a third level institution planning a semester’s syllabus, time and efficiency is crucial for success. Meetings are a key part of this and whether it is a weekly, monthly or quarterly get together, an efficient meeting can go a long way in achieving goals and objectives. Below are a number of tips that we believe can help your company or business conduct efficient and productive meetings. When the sales performance for the year is down for discussion, time management may not seem like the most important issue to address before the meeting, but time management is a crucial aspect of meetings. Someone arriving late or showing up halfway through a discussion or presentation is a massive distraction and it can have a negative impact on productivity. The question “What did I miss?” should never be uttered in a productive meeting. Make sure that all attendees are well informed about what time the meeting starts at and what will be expected of them during the event. Give people plenty of notice and time to prepare and you are well on your way to an efficient meeting. Again tidiness may not immediately pop into everyone’s head when the AGM is scheduled, but it is again an important part of a well-organized meeting. Will there be refreshments and snacks at the meeting? Then make sure there are napkins etc to keep the meeting space clean and tidy. Make sure that the meeting room is given a good clean the night or morning before the meeting and if there are cables that are needed for presentations, make sure that they are stored safely and kept out of the way. A tidy meeting space helps to keep people focused on the issue at hand. There is nothing worse than not being able to concentrate because the bin was never emptied or you are worried about the stain you have made on your trousers when enjoying the refreshments. Keep the workplace tidy, keep your meetings efficient. Talk to any successful entrepreneur or MD about how to hold and contribute to a successful meeting and I bet 9 out of 10 will mention how important note taking is. You will never find Richard Branson without a notebook and you should never be without one in a meeting. It is unlikely that you will ever go into a meeting and leave without a question. A meeting is wasted if you leave with unanswered questions and follow ups that you don’t understand. There is no stupid questions, so with that in mind, bring a notepad with you into the boardroom. It doesn’t matter if it’s a quick scribble or a detailed diagram, take a note, ask the question and if you are not happy with the answer, keep asking until your query is satisfied. Don’t be nervous, it’s highly likely that someone else in the room was dying to ask the same question that you’ve raised. 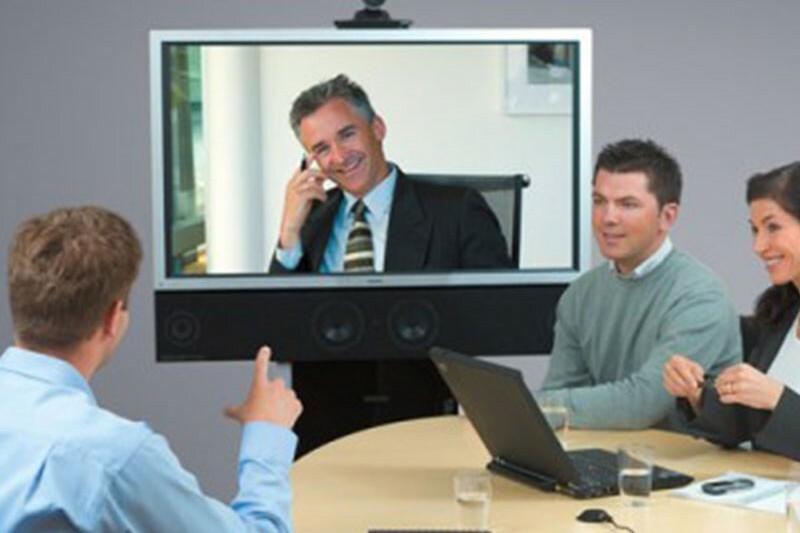 Technology is entering the boardroom at an alarming rate and it is helping to make meetings, conferences etc more efficient. From arranging the meeting to making sure everyone receives the follow up emails etc, technology is now an integral part of successful companies. The Montage from Display Note has helped us to conduct meetings with everyone in Sight & Sound, no matter where they are. It has also made these meetings much more efficient as we no longer have to pass the HDMI from presenter to presenter. Our meeting room is now mobile, wireless and efficient thanks to technology. Some may be afraid of committing entirely to an online approach, and that’s okay, but blending the traditional (note taking) with the new (wireless presentation) is helping to connect companies and create more efficient workplaces. At the end of the day, each company finds the most successful and efficient processes that work for them. A startup may find that a late night brainstorming session over pizza is a key part of their success while the MNC’s of this world might want to stick to their week long conferences in warm climates as their key to success. An efficient meeting will always be key to success, find what makes your team successful and stick to it.